Thick, lustrous, long locks would be on most girls’ cosmic wishlists. But however much certain shampoo brands would like to convince us that they’ll work that kind of magic, really the only way to give your hair the Disney Princess treatment is good quality extensions. And when it comes to hair, you generally get what you pay for. 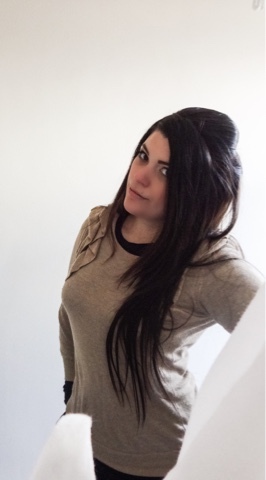 Synthetic hair can be sort of okay, and I've had it in the past, but getting a colour match is harder, the shininess gives it away as fake in good daylight, and however careful you are, you generally end up with a tangled, knotted mess after a few uses. Cheap hair shows. 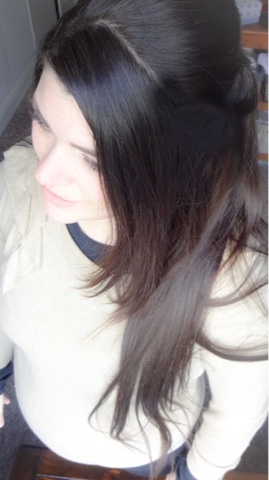 Which is why when I was offered the chance to try the extensions from Irresistable Me, I was so pleased. Irresistable Me offer high quality, real human hair extensions which means they can be heat styled, cut and dyed to match your own requirements. 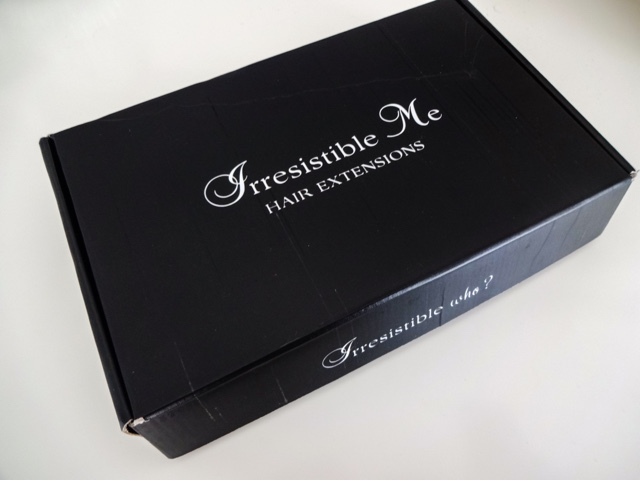 With Irresistable Me, you have many customisation options, including a choice of length and thickness, as well as colour. 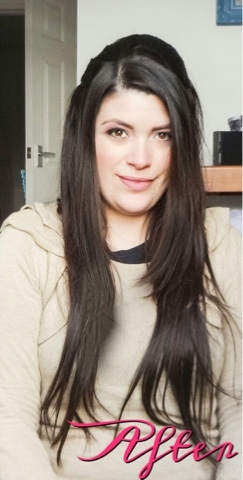 I opted for the 22 inch extensions in the shade ‘Chocolate Brown’, and the maximum thickness of 200 grams of hair. I've been on the lookout for some really great quality clip-in extensions since chopping my hair into a lob last summer. I love the convenience of short hair but I still wanted to be able to amp up my locks when I felt the need. 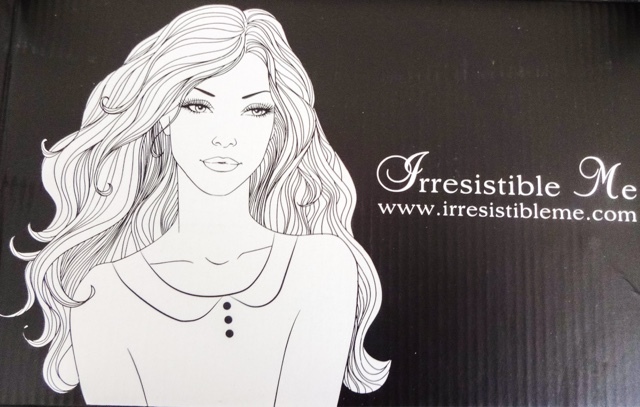 My hair is fairly thick and here the super thick weight available from Irresistible Me allows me to create realistic looking long hair in an instant. The extensions arrive packaged in a really clever way- there's one strand kept separate, which you open first. Why? To check the colour match! Instead of having to squint through the packaging trying to decide if it's a fit, you can clip in the one piece to check without opening the whole thing. That way if it's not a colour match, you can send them back! How perfect is that? I think it just might be the single most genius idea I've seen! It was a perfect match for me though, so no need for returns. 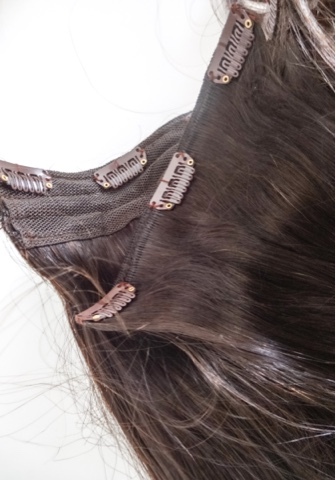 The hair comes in ten wefts, which really allows you to customise where you place each clip- ideal if you like to play around with different styles. The hair is easy to attach, even for complete beginners, thanks to the helpful videos (they also have this guide to colours and lengths to help you place an order). Once in, I'm so pleased with the look and feel of these extensions. They are fantastic quality and look natural but fabulous. I'm such a fan of ‘cheating’ with hair and lashes but I always want them to look believeable, so these are perfect. 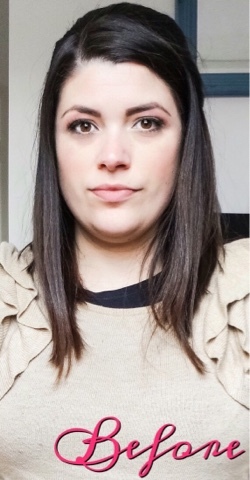 In just a few seconds, I can transform my shoulder-length lob into long, tumbling hair. That's some Wonder Woman stuff right there! Despite their length and weight, these feel really light on the head and can easily be worn all day without starting to ache and drag. The mission of Irresistable Me is to offer the highest quality for a reasonable price. Extensions can get really expensive but you don't have to make a choice between quality and cost any more, which is why this is such a great line. I love that philosophy and I love my new, shampoo ad worthy hair. It couldn't be easier. Grab your very own set of Irresistable Me Silky Touch hair extensions for around $79. They offer fast international shipping so I got mine in a matter of days from placing an order. There's also a Valentine's sale on now, so grab them for an even more amazing price while you can! This is a sponsored post. 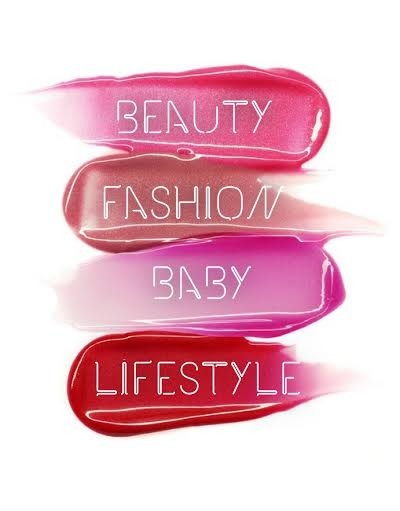 All products reviewed on this page were sent to me complimentary from Irresistable Me. 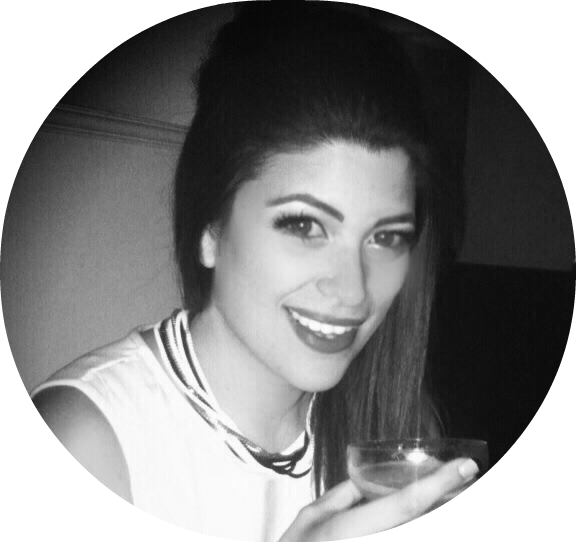 I only recommend products or services I try personally and believe my readers will enjoy. All opinions are my own.